1 cool stage | This Blog Rules | Why go elsewhere? Have you ever seen an opera stage shaped like a torso. Well, if not, then, you’ll probably be unnerved by the sight of this giant creature popping out of Lake Constance in Austria. 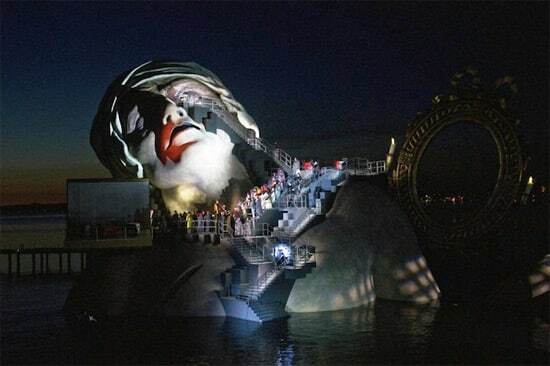 This crazy thing is the most impressive opera set ever created. It was constructed specifically for an opera named after celebrated French poet André Chénier. And yes, it literally is an opera stage sitting in the middle of the famed Austrian lake.